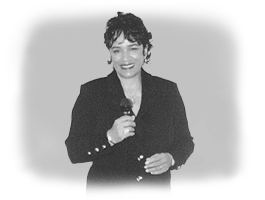 Lana Ruffins' keynote speeches have wowed large groups everywhere, from the Department of Defense military generals to corporate CEOs on getaway golf weekends. She has motivating topics for almost any audience. Click here for Keynote Speech Topics. These files have been encoded for use in Windows Media Player. You may download it free by clicking here.